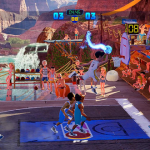 As reported by The Gaming Tailgate, PlayStation 4 gamers are being refunded for their pre-orders of NBA Playgrounds 2. The game was originally set to launch today, but was abruptly postponed late last week. No new release date was set, but the announcement from Saber Interactive promised that the delay was in the interest of creating the best game possible. While issuing a refund is certainly a gesture of goodwill, and may indeed have been compulsory for Saber to do, it does come across as a discouraging sign in the wake of the game’s delay. The forthcoming game has been met with some derision and scepticism from gamers who were unsatisfied with last year’s release, unhappy that a sequel is coming out so soon in lieu of further updates to the original, or both. These setbacks can only make NBA Playgrounds 2 a tougher sell. With all that being said, hopefully the delay will turn out to be for a good reason, and the finished product will be worth the wait. We’ll continue to cover the situation either way, so stay tuned for more information as it becomes available. In the meantime, feel free to share your thoughts in the comments below, as well as in this topic in the Other Basketball Games section of the NLSC Forum.